Digital advertising has introduced both new challenges and new opportunities in marketing attribution. Every touchpoint along a consumer’s path is highly measurable, allowing advertisers to identify the tactics that drive results, allocate budgets more effectively, and scale their best-performing campaigns. 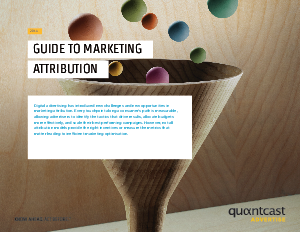 But it’s not always clear which metrics matter in an attribution strategy.